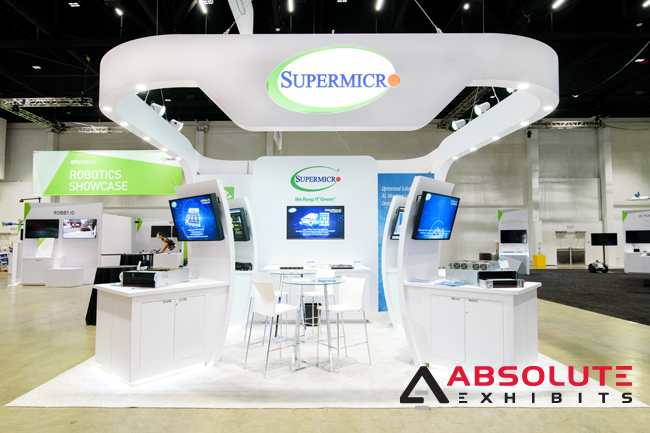 3 Reasons to Rent a Custom Trade Show Exhibit | Absolute Exhibits, Inc.
What differentiates one brand from another on the trade show floor? 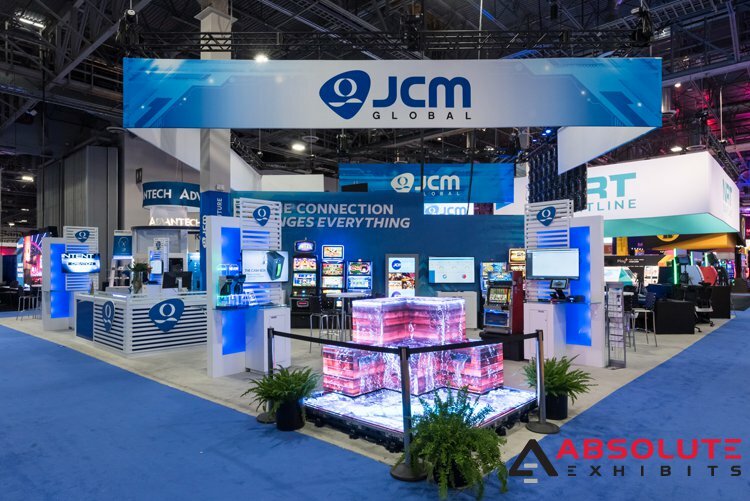 It’s the way in which they communicate their brand story through the use of visuals in their custom trade show exhibit to multisensory or immersive branding techniques, and more. Each custom trade show exhibit is an opportunity to tell a brand’s unique brand story, reaching people in more personal ways. Take for example a brand such as CMI Orchards, whose brand focuses on fresh farm to table produce that consumers can enjoy at the height of freshness. 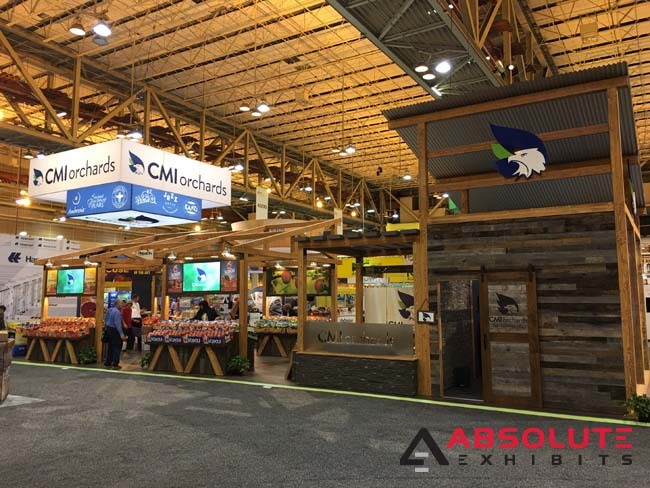 To communicate this unique brand story, they opted for a custom trade show exhibit to look like a rustic farm and greenhouse. This stayed true to their brand story and resonated with trade show visitors, attracting more crowds to their custom trade show exhibit. Some brands exhibit at multiple trade shows per year and they don’t always exhibit in the same sized trade show booth. In these cases, the versatility of being able to rent a custom trade show exhibit helps them to scale with the size of their booth at the show. In other cases, some brands want to pursue different themes at different shows. Being able to rent a custom trade show exhibit allows them to pursue new ideas, show off new themes that may coincide with any partnerships or brand activations, and more. What’s more likely to stand out on a trade show floor- that run of the mill beige structure with minimal graphics and a couple of design racks or a truly unique theme or design? The truth is very simple- a custom trade show exhibit, no matter the size, stands out on the trade show floor because it’s different. It doesn’t just blend into the crowd. If your goal is to increase leads or increase sales, you want to stand out on the trade show floor with custom elements. This can include custom lighting, themes, custom signage, colors that pop and more. Consider the many ways you can draw attention to your brand with something custom. Exhibiting at trade shows can be stressful if you don’t have the right pieces in place. One of the most important pieces for you to consider is a custom trade show exhibit to truly stand out on the trade show floor and amplify your ROI.